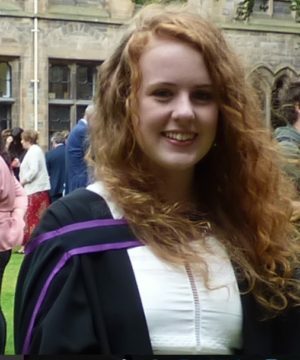 Rachel Walker recently graduated from the University of Glasgow with a First Class Honours degree in English Literature and History, having written her undergraduate dissertation on Anne Boleyn’s engagement with sixteenth-century gender roles. She currently writes short stories, features, and film and theatre reviews for various student magazines, acts as the Membership Engagement Officer for the Scottish Writers’ Centre, and is the present Creative Writing Editor at the university’s qmunicate magazine. Her blog can be found online here. By Tudor standards, Anne Boleyn was exceptionally dangerous indeed. Known to most as the transgressive Tudor queen with a voracious sexual appetite and an insatiable greed for power – an idea popularised by fiction such as Philippa Gregory’s The Other Boleyn Girl – she has remained a contentious figure since her first appearance on the Tudor political scene as Henry VIII’s ‘other woman’. Whether she is viewed as promiscuous or pious, an adulteress or victim, political player or ‘beloved plaything of a strong-minded king , one thing is clear: Anne’s reputation as a dangerous woman rests solely on her inability to perform the role of the obedient, self-effacing wife that was expected by Henry. The daughter of a rising court official, Anne was educated in the royal courts of Burgundy and France, and returned home to England to act as maid-of-honour to Henry VIII’s first wife, Katherine of Aragon. This was a period which idealised women as submissive and subservient and Katherine, through her piety, wifely devotion and general mildness, conformed admirably. Sixteenth century writers emphasised that a wicked wife is ‘contrary to her husband’ and ‘chastity, shamefacedness and temperance’ were the greatest virtues a woman could possess. Even Henry VIII, in his polemic ‘A Glasse of the Truthe’ emphatically stated that ‘the man must rule the woman’. It was only when Henry threatened to divorce Katherine for the younger, more provocative Anne that her steady adherence to the myth of Henry’s superiority cracked. Staunch supporters of Katherine’s fervent Catholicism rallied around her, creating the age-old dichotomy of the Madonna and the whore: with Katherine as the virtuous, maternal Madonna and Anne as the amoral, Reformist whore. As the Great Matter of the divorce progressed and hostility towards Anne increased, this representation only solidified. Anne was thus considered dangerous from the very beginning: a challenge to idealised femininity that must be removed. Much of her actions remain obscured by centuries of hagiography and demonization, with contemporary sources exaggerating either her purity or her vindictiveness, a polarisation that largely depended upon the religion of the author. Biography, historical analysis and fictional narrative have followed suit: writers, drawing upon the lack of real evidence of Anne’s feelings and motives, have allowed her to be transformed into a blank space from which their respective agendas can be pushed. This makes it difficult to reflect upon the ‘real’ Anne, an undeniably controversial figure who meets with a scrutiny and enduring fascination echoed neither by the treatment of Henry’s other five wives, or similar mistresses throughout history. Despite the limited information, the primary portrait of Anne that emerges from the sources is an independent and assertive woman. This was by no means as anomalous to Tudor contemporaries as it might appear: the early sixteenth century boasted several such aristocratic women, from Henry’s own grandmother Lady Margaret Beaufort to his sister Princess Mary, who defied the standard of the arranged marriage. In fact, despite the prevailing Tudor fantasy that women were meek, opinion-less creatures, aristocratic women exhibited much influence over patronage and politics – enjoying long, successful careers at court in the service of their family, running their husbands’ estates in their absence or gaining employment as the Queen’s lady-in-waiting. Anne conformed to this model to an extent: she dispensed considerable amounts of charity, dedicated much of her time to Bible study and pious activity, and her court was viewed as respectable and discreet. She supported persecuted evangelicals, commissioned and accepted patronage of religious works, and assisted relatives by promoting them within the court. Despite her tarnished reputation, weighty evidence even indicates that she remained a virgin before marriage. But she was by no means the perfect wife: regardless of general trends or mitigating factors, if a woman’s husband expected her to behave as a proper, idealised wife, then conform she must – doubly so if her husband was the king. Unable to be the ‘waxen wife of conventional expectation, to be moulded or impressed at her husband’s will’  Anne was tempestuous, inappropriate and challenging; prone to outbursts and indiscreet jokes, Henry himself complained of her ‘arrogance and domineering attitude saying plaintively that she was not like Katherine, who had never in her life spoken harshly to him’. This statement is revealing of misogynistic Tudor attitudes towards femininity: as a mistress, Anne was expected to be challenging and enticing, staging complex emotional dramas to keep Henry longing for her; but as a wife, she must be a supportive nonentity, all but removed from contemporary commentary. Her status as ‘the other woman’ ensured hostility regardless of her actions, and as women’s identities were constructed in reference to their relationship status, Anne’s indeterminate standing meant that the label of a whore was a legitimate assumption, a belief enhanced by her atypical ‘virgin’ behaviour, such as riding pillion behind Henry or dining with him alone. Anne did not contradict her mandate as queen and, in some cases, fulfilled her role well: although it is historically naïve to label her as a proto-feminist figure smashing the rhetorical glass ceiling – not least because the Tudor glass ceiling is a lot more flexible than is usually supposed – her challenging of sixteenth century idealised femininity appears to be rooted in her personality and unprecedented circumstances rather than any deliberate inclination for rebellion. But, regardless of this, the fact remains that, after three short years of marriage and nine years since Henry’s internationally publicised and protracted divorce case began, Anne was executed for adultery and treason on 19th May 1536. At a basic level, Anne’s execution was inextricably linked to her position as Henry’s wife which was gendered in a very obvious way; only queens could have adultery legitimately construed as treason and face execution for this transgression, and only women could be punished for sexuality and adultery, as the prevalent double standard permitted men to engage in extra-marital affairs without repercussions. The trial on 15 May accused Anne of adultery with four men, in addition to her brother George, and of plotting to murder the King and marry one of her lovers instead. The evidence is often noted as being inaccurate, accusing Anne of assignations at palaces miles away from her actual recorded location, and hinging upon circumstances that, to the unbiased onlooker, seem to be irrelevant, such as writing to George informing him of pregnancy and fleeting courtly flirtations, activities that were commonplace in the context of the court, even if questionable for a queen who ought to have remained dignified and aloof. Anne’s very public existence logically precluded an affair without some sort of intermediary, and the trials seem to have capitalised upon Anne’s unsavoury reputation in the absence of genuine testimony and confessions, attributing a voracious sexuality to Anne through her ‘alluring, procurement and instigation’ of her devious affairs. Her reputation, therefore, was enough proof to convince onlookers of her guilt. But, if Anne was not guilty – a possibility which still divides historical opinion today – then why was she killed? Different theories abound, ranging from a conspiracy orchestrated by Henry’s minister Thomas Cromwell to an execution tacitly pushed for by Henry himself. As Anne’s power was solely rooted in her role as wife – deprive her of Henry and her influence would be swiftly decimated – to attack her for her failure in that arena was a logical tactic. She had failed to produce the all-important son, the hope upon which her marriage to Henry had rested, and there is evidence that Henry grew increasingly bored and irritated with his wife, angry at her incessant ‘meddling in affairs’. Regardless of the motivations underlying Anne’s execution, it is clear that she was attacked in a manner that befitted her questionable virtue: to achieve her death in a convincing and believable way, the gender strictures which had shaped and hampered Anne’s life were then employed against her. Yet in the final moments of her life, Anne refused to conform to demanding patriarchal standards: expected to confess her guilt and admit her culpability, she ended her final speech with no such concession. This was a statement that, whilst definitely not intended as a feminist proclamation, enabled her to enact resistance and proclaim her own agency and subjectivity. What contemporaries deemed as Anne’s intrinsic unfemininity ensured her status as one of the most dangerous women of the Tudor period: so dangerous, in fact, that she was removed from her controversial position as queen to be replaced with a more palatable, obedient and ‘womanly’ successor. And why was she seen as so dangerous? Precisely because she did exactly as she pleased and refused to conform to patriarchal standards.